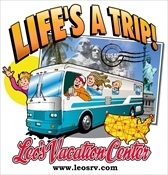 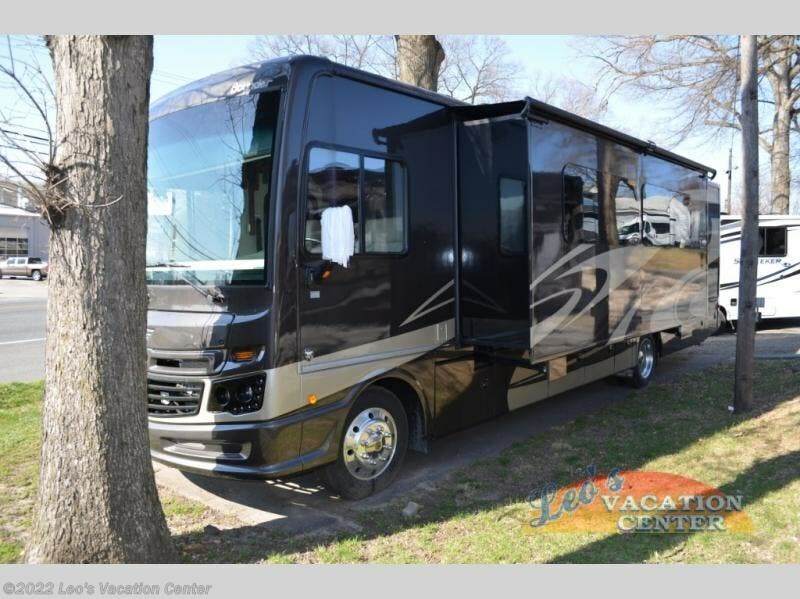 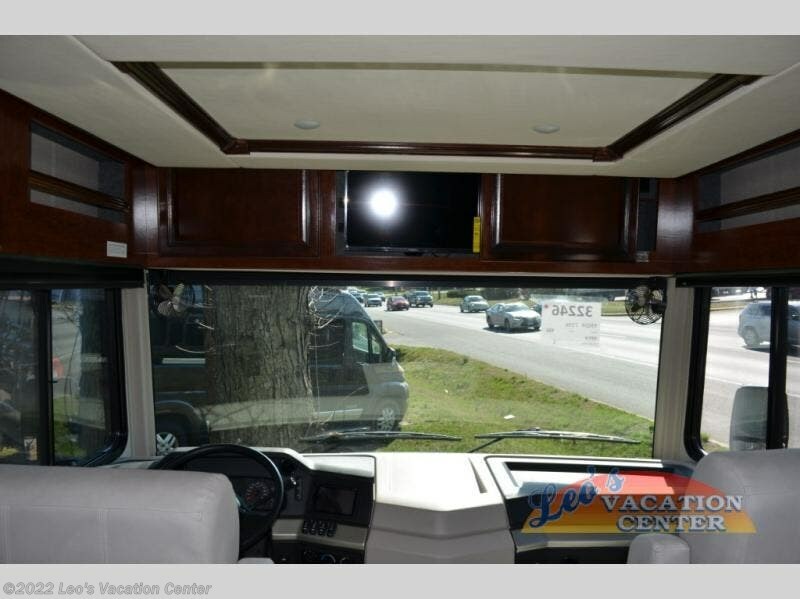 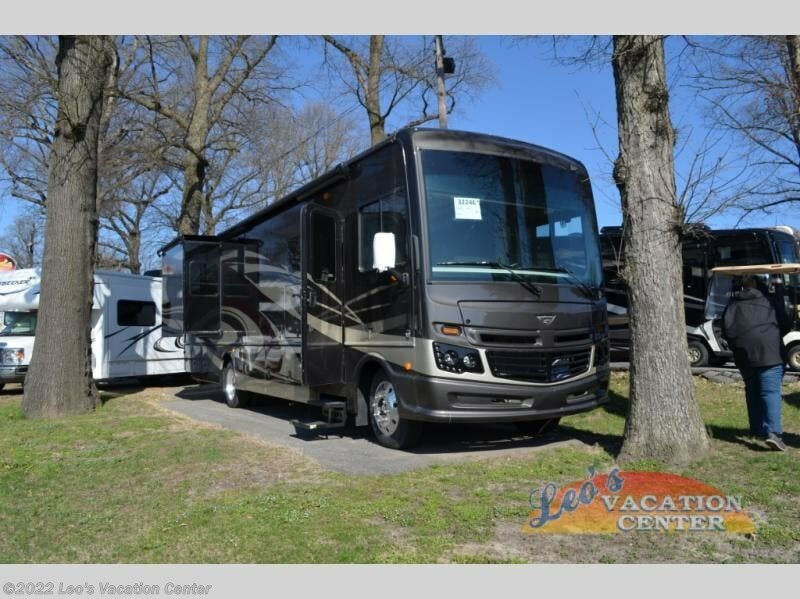 For a fun trip across the country or just to your closest state park, choose this Bounder class A gas motorhome. 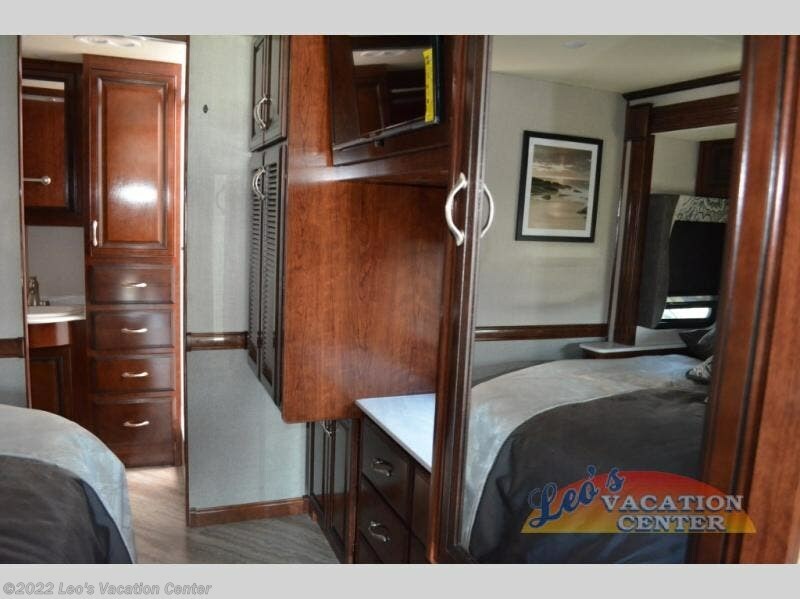 You can comfortably sleep six in this unit, so pack up the kids and hit the road! 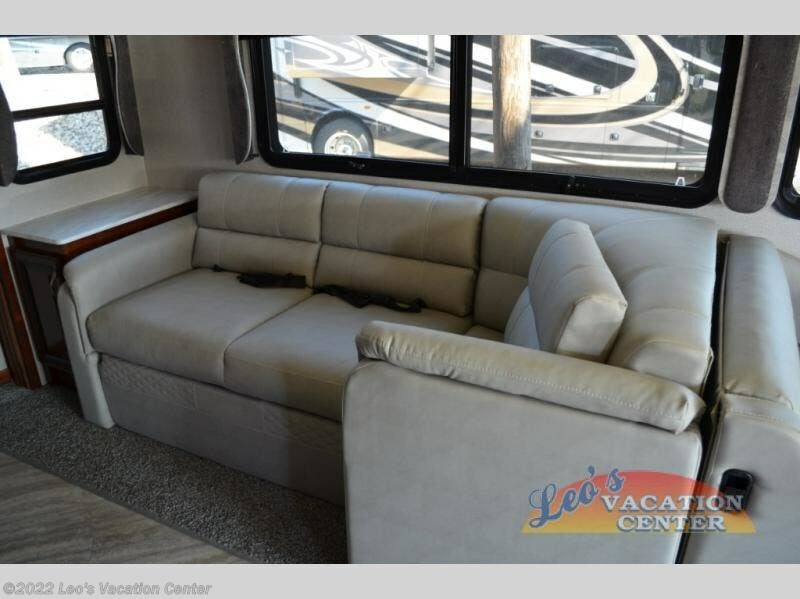 This unit includes an expandable L-sofa the kids will love to sit on as they watch their favorite movie on the 40" TV. 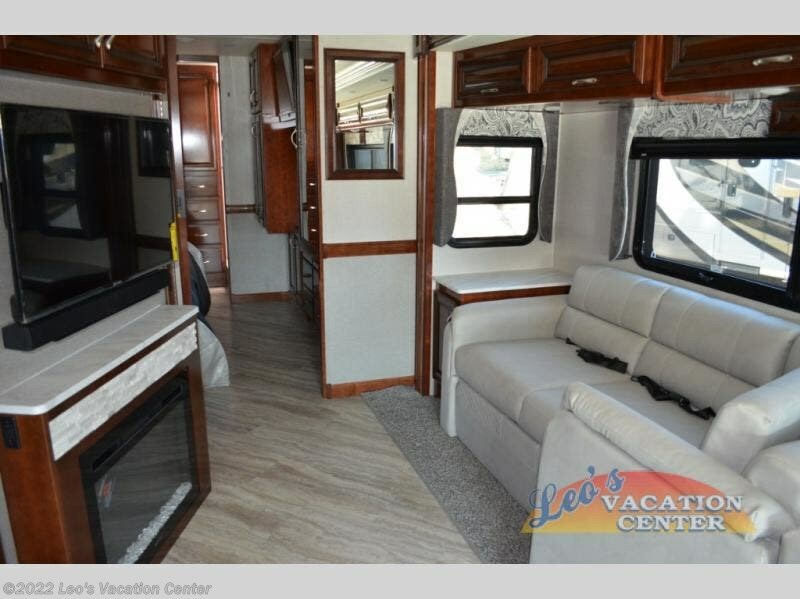 In the evening, everyone can snuggle up and enjoy the fireplace and talk about the day. 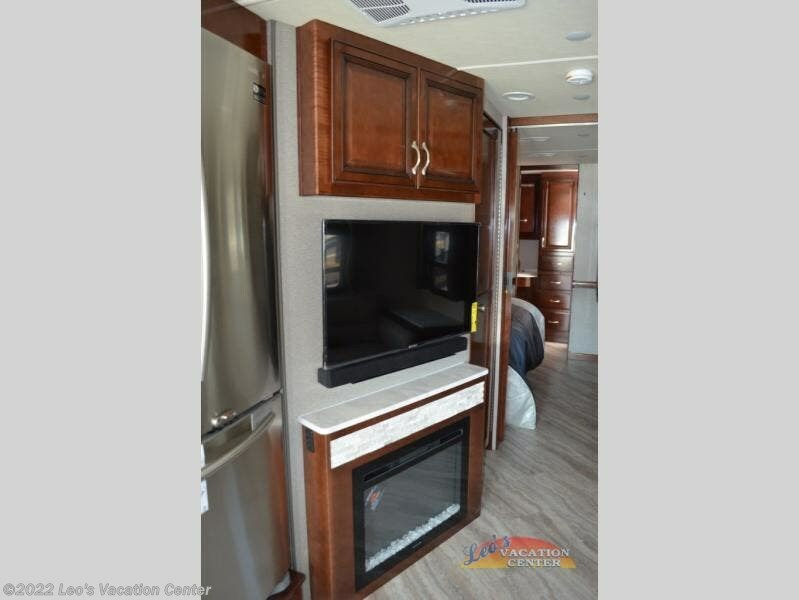 Two slide outs provide extra interior space, so let the kids play a game on the floor. 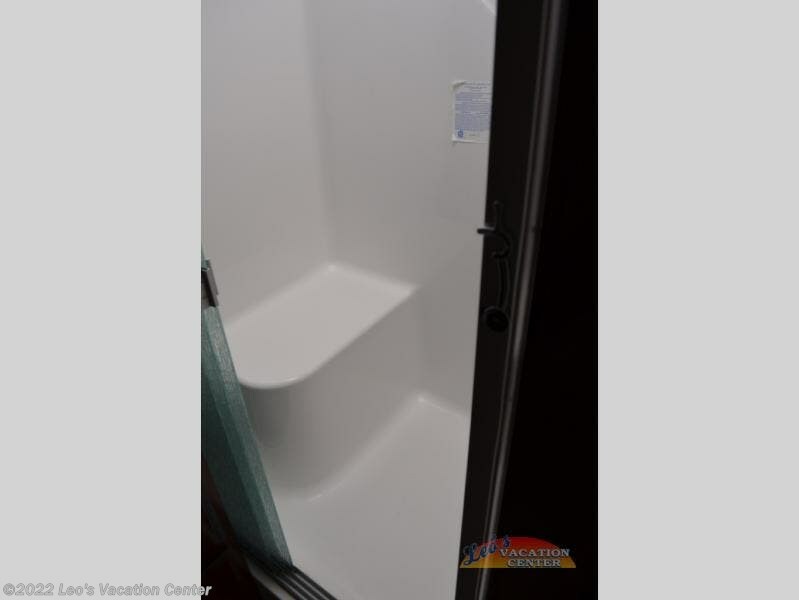 The rear bath gives everyone a little extra privacy, plus there is a half bath for your convenience. 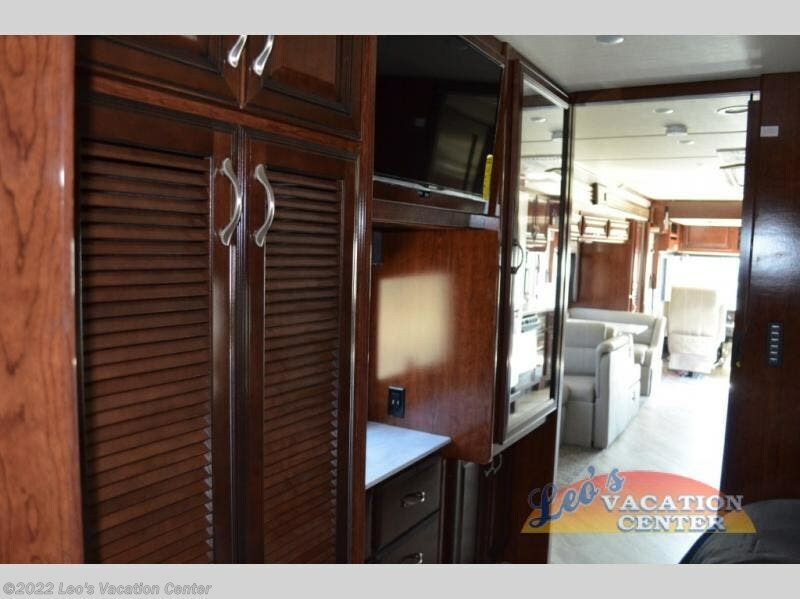 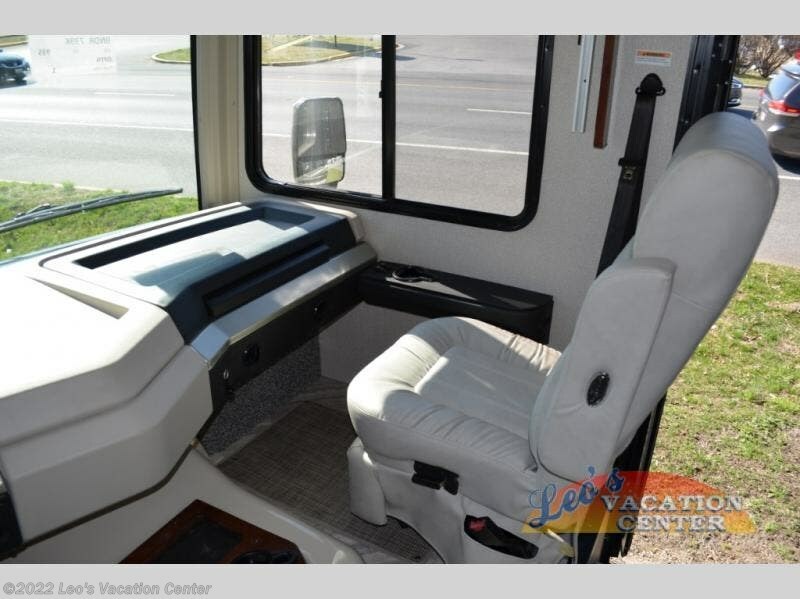 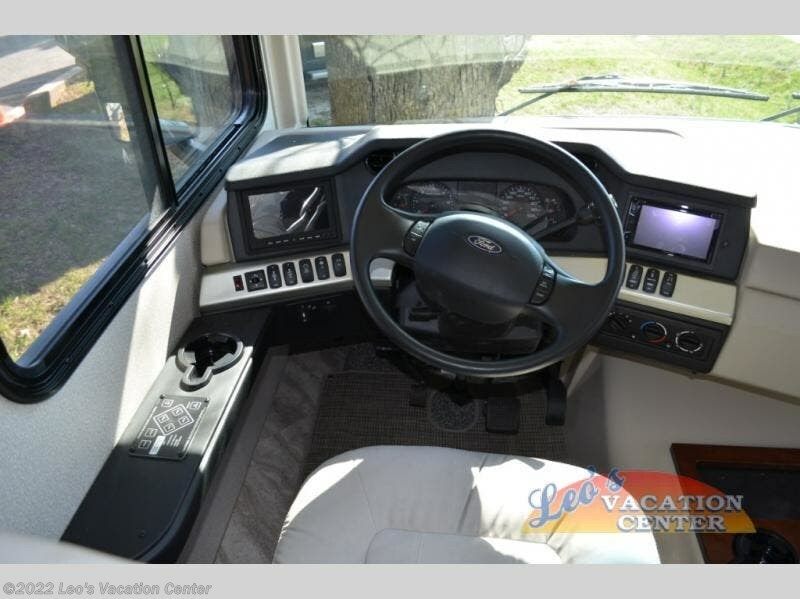 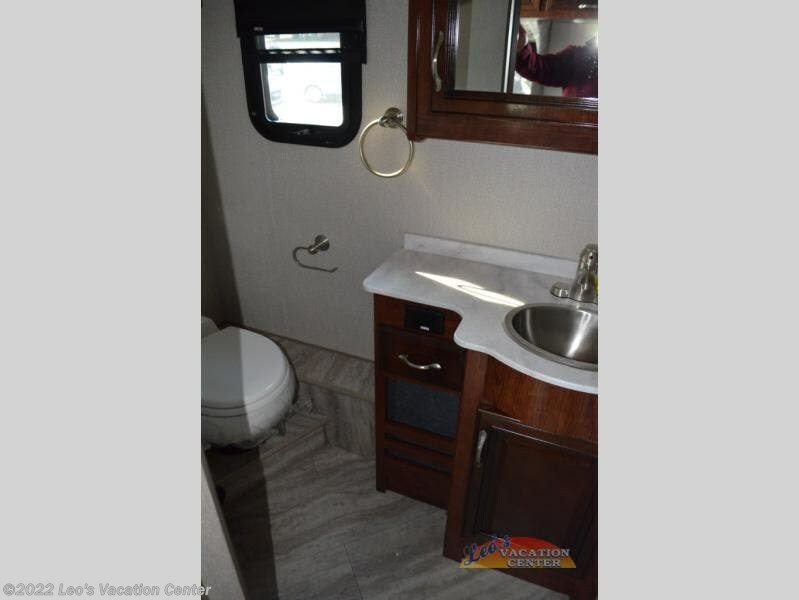 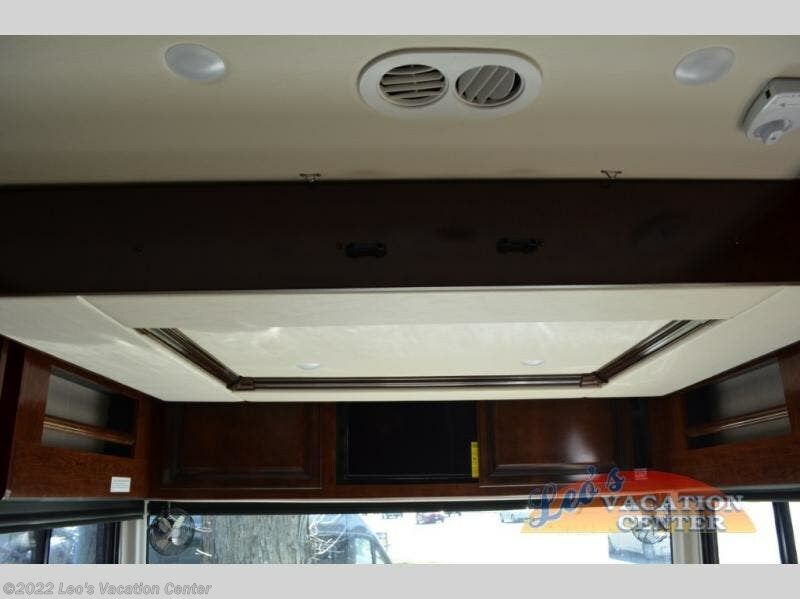 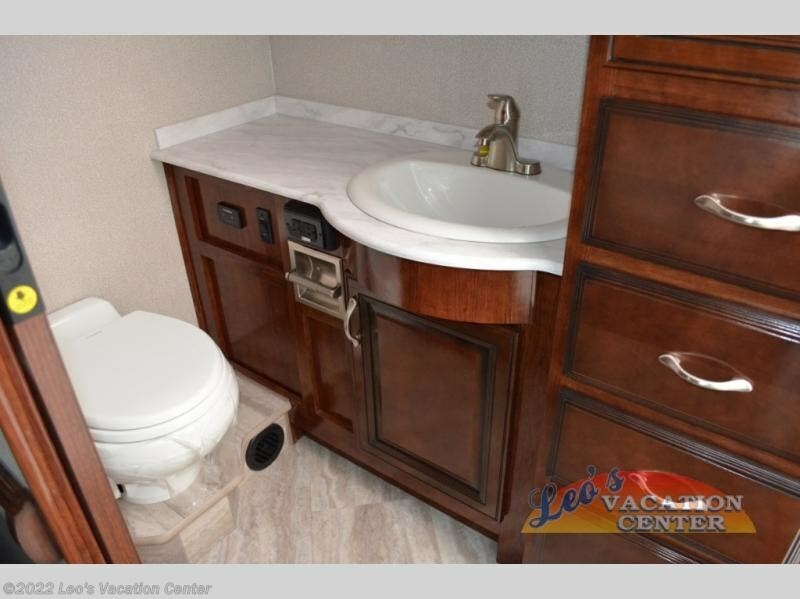 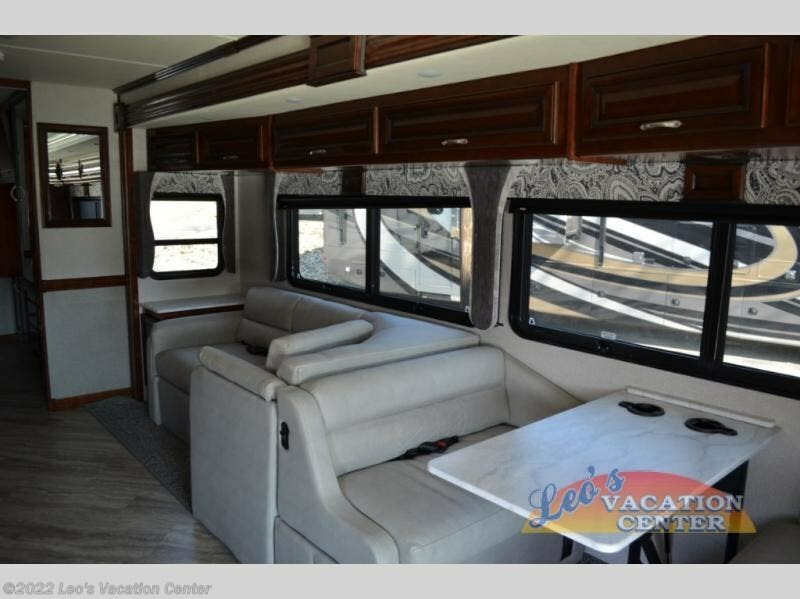 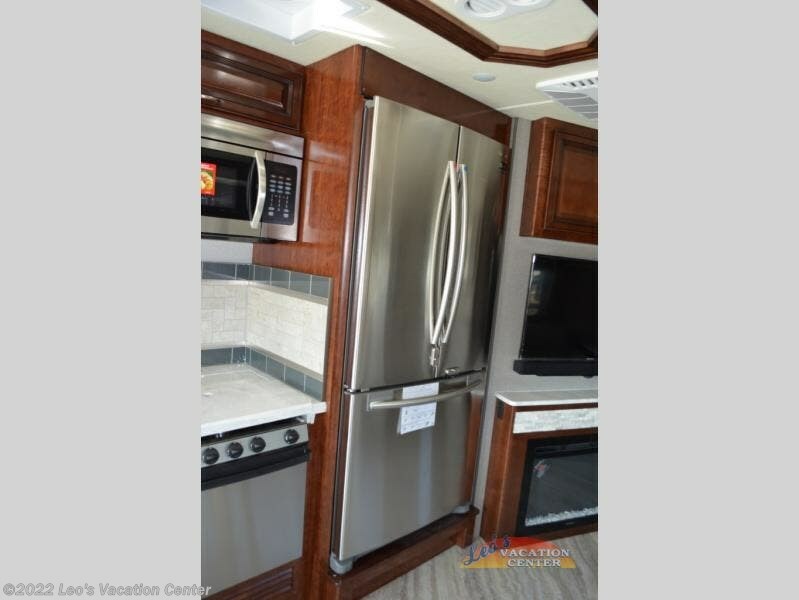 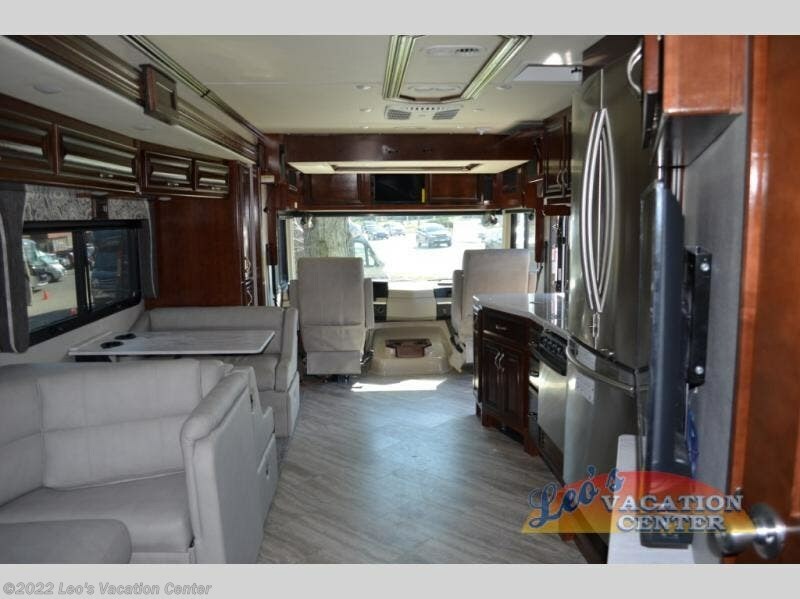 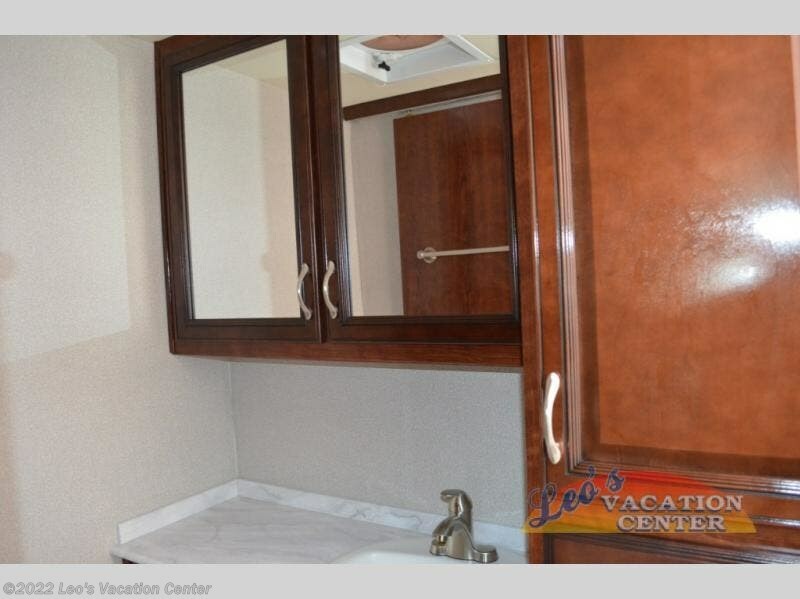 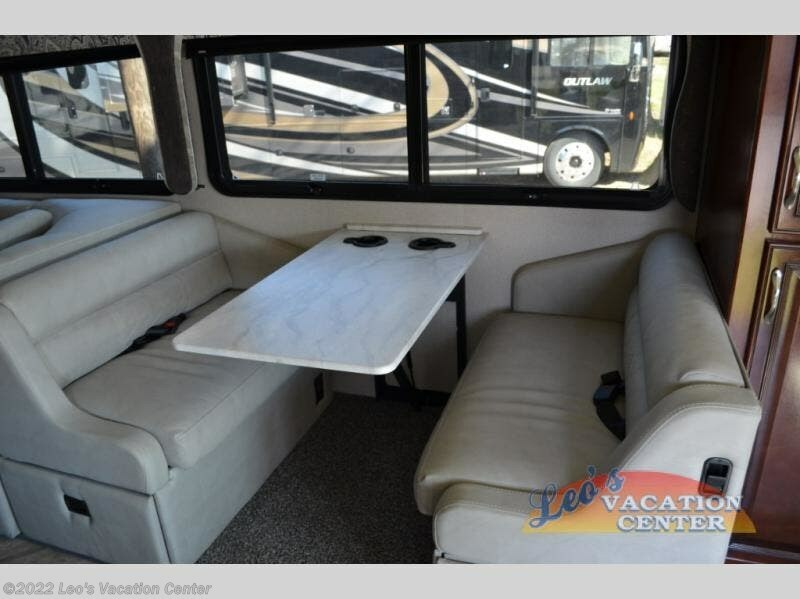 This motorhome also includes a residential refrigerator with an ice maker that mom is sure to love, plus a pantry the kids can hide their snacks in. 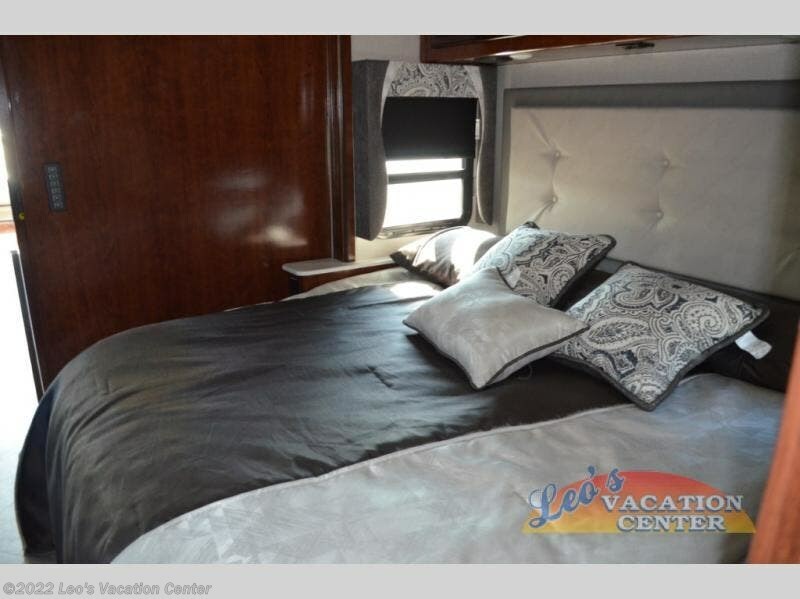 Every Fleetwood Bounder class A coach provides a comfortable and functional home on wheels. 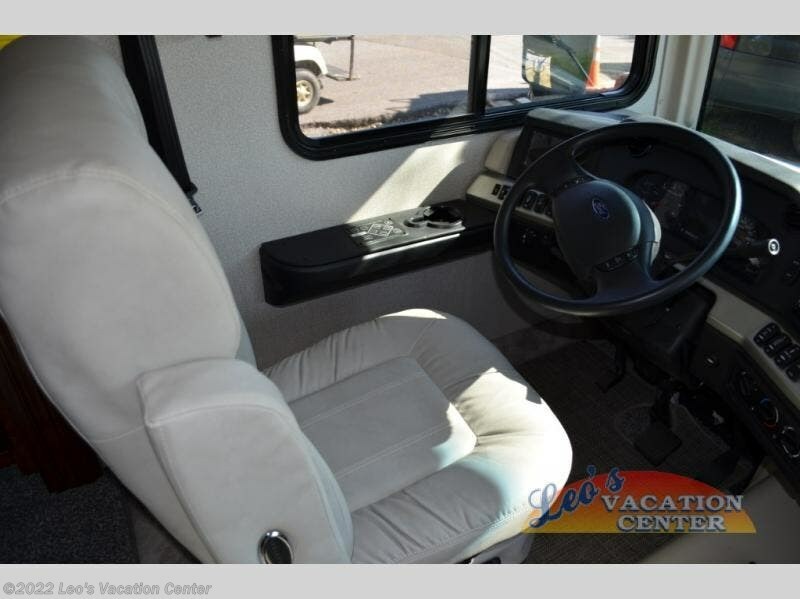 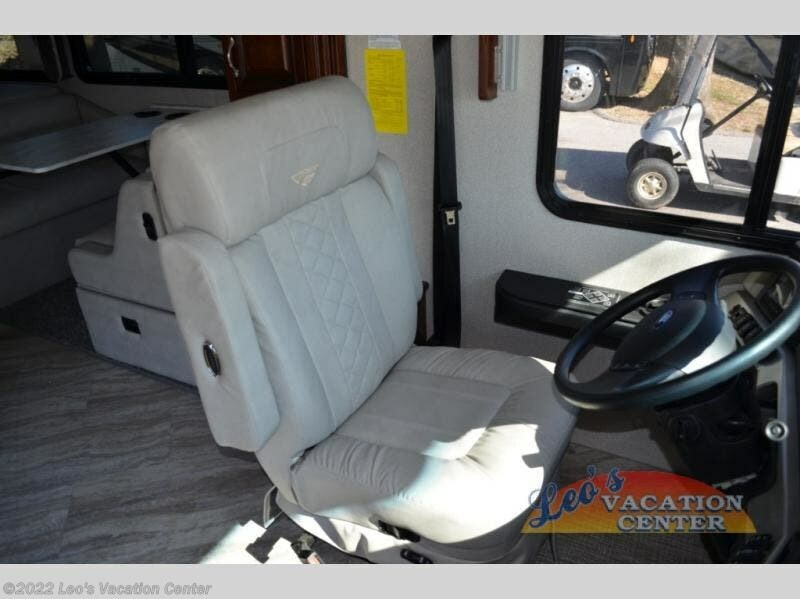 You will enjoy the drive as much as the stay with a reclining and swivel drivers chair with 6-way power control. 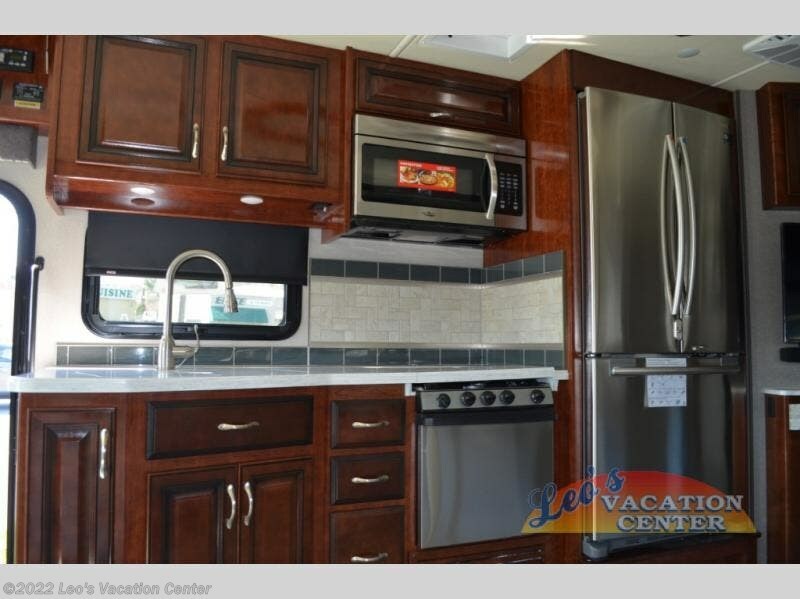 The Bounder kitchen features stainless steel appliances, solid surface countertops, and a convection microwave oven. 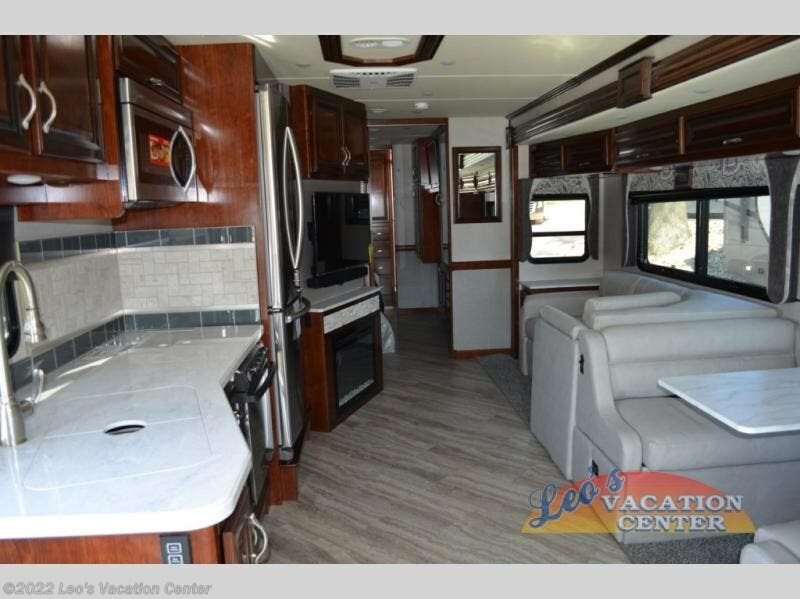 There is plenty of storage both inside and out, including a full pass through basement storage, so you can be sure to pack everything you might need. 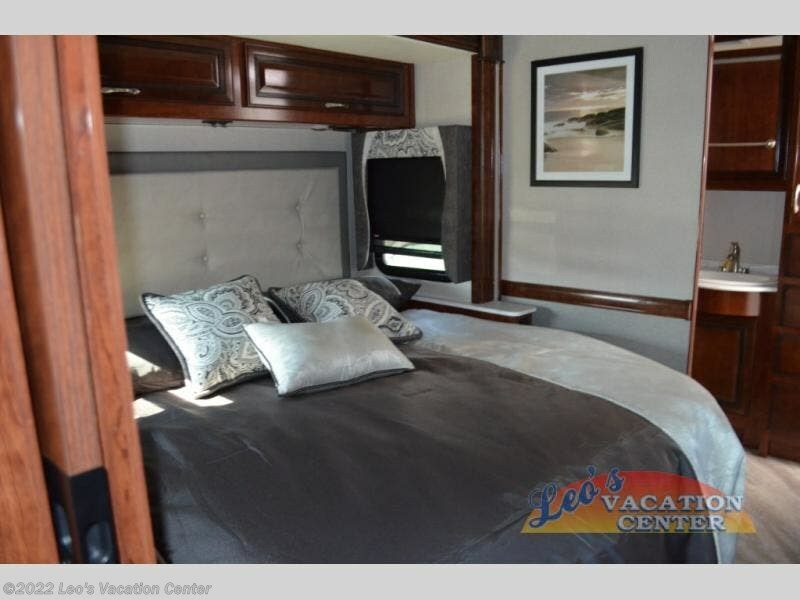 These units include a king memory foam mattress, plus a designer bedspread, headboard, pillow shams and pillows to give you that at-home comfort. 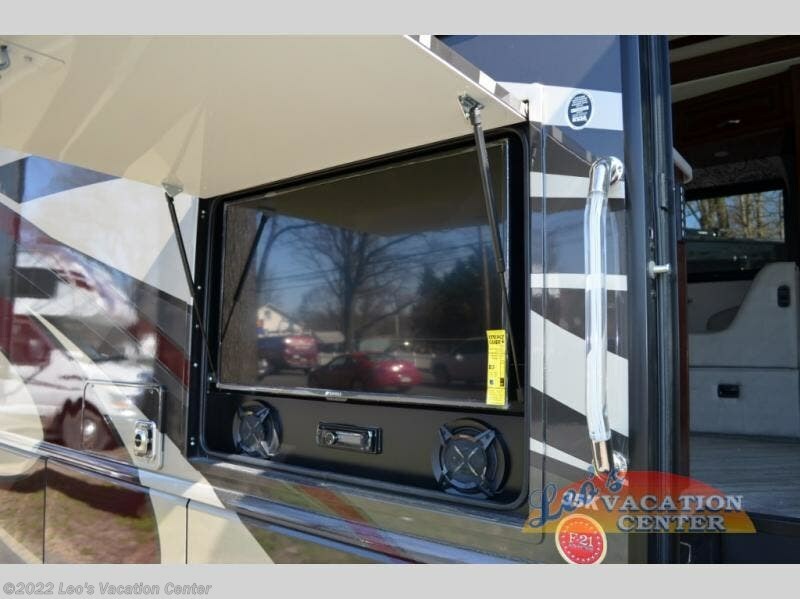 Enjoy your evenings outdoors with a legless electric patio awning with LED lights, plus an exterior entertainment center with a 40" LED TV! 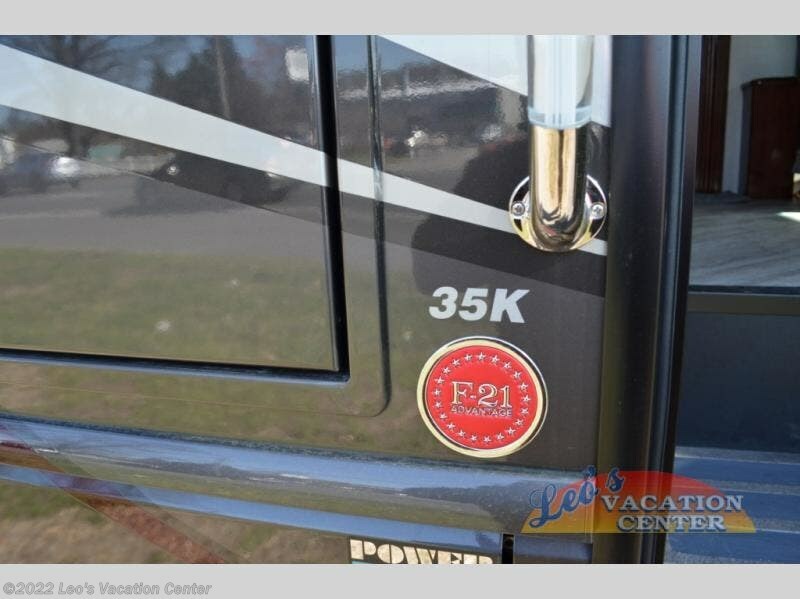 Check out Stock # 03194685 - 2019 Fleetwood Bounder 35K on fleetwoodrvsource.com!